The result this time was far more impressive. This new image was taken by astrophotographer Adam Block on October 8 using an SBIG STX-16803 camera with a hefty 36.8-by-36.8 millimeter CCD sensor that provides a 16.8 megapixel image, attached to the University of Arizona's 32-inch Schulman Telescope. 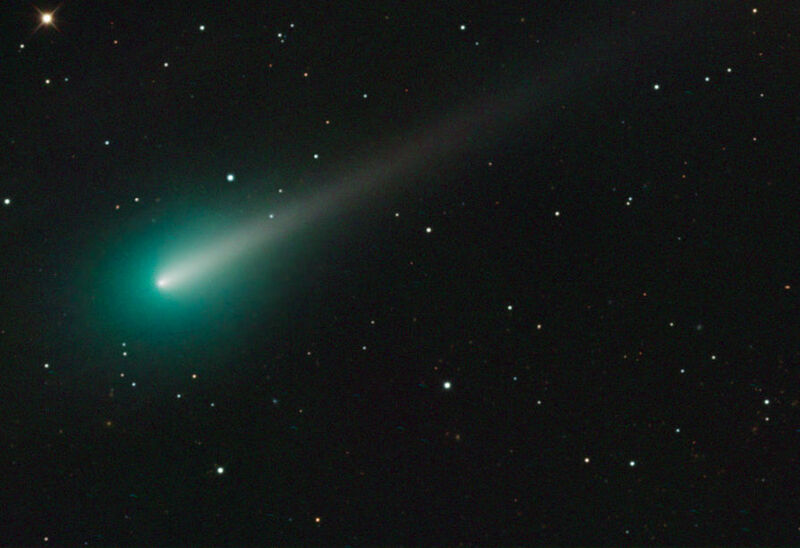 The image of ISON, which was discovered last year by amateur Russian astronomers Artyom-Kislovodsk and Vitaly Nevsky using the International Scientific Optical Network’s (ISON) 0.4 metre reflector as it entered the outer solar system from the Oort Cloud, seems to indicate that the comet is still holding up quite nicely on its way to the Sun, and not breaking up as some had feared. ISON will make its closest pass around ol' Sol on November 28 at 23:00 GMT, at which time it will be within 730,000 miles (1.2 million kilometers) of the solar surface – although saying exactly where the solar "surface" begins is a bit of an inexact science. If it survives that close encounter of the toasty kind, ISON may become quite spectacular, possibly being easily visible to the naked eye before and after its whiplash around the Sun. Or not. Comets are notoriously unpredictable beasts. The truth is, no one really knows how ISON will perform when it meets up with the sun – and anyone who says otherwise is either trying to pull the wool over your eyes or is simply wrong. Your humble Reg reporter, however, having lived through such duds as Comet Kohoutek in 1973 and Comet Halley in 1986, and the decidedly less-disappointing Comet Hale-Bopp in 1997, would greatly enjoy a big ol' sky show in late November and early December.